I certify that I am in good physical condition and have no disability, impairment or ailment which would be adversely affected by participation in a physical conditioning program or by use of this facility or service. I shall participate in physical conditioning programs and/or use of this facility, services or equipment at my own risk. Jamie Garcia, its affiliates or shall not be liable for the loss or theft of personal property of the guest. I agree to be bound by the rules and regulations of this facility. I acknowledge that if any of the above information if false I may be refused service. I agree to hold Jamie Garcia, the affiliates or agents harmless for any injury that may incur at this facility. not available. Clients will be notified in advance of pending substitution. 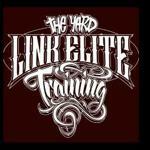 The use of the Facilities at THE YARD as well as services provided by Link Elite Training (LET) naturally involves the risk of injury to you or your guest, whether you or someone else causes it. As such, you understand and voluntarily accept the risk and agree that or LET will not be liable for any injury, including without limitation, personal, bodily, or mental injury, economic loss, or any damage to you, your spouse, guests, unborn child or relatives resulting from the negligence of LET, anyone on or LET’S behalf, or anyone using the Facilities. Further you understand and acknowledge that or LET does not manufacture any fitness or other equipment at its Facilities, but purchases and/or leases equipment from third parties. As such you understand that or LET is providing recreational services and may not be held liable for defective products. If there is any claim by anyone based on any injury, loss or damage described here, which involves you or your guest, you agree to (1) defend LET against such claims and pay and LET for all expenses relating to the claim, and (2) indemnify LET for all liabilities to you, your spouse, guest, relatives, or anyone else, resulting from such claims. The paying member can cancel this agreement and receive full refund at any time prior to midnight of the third business day after the date the agreement was signed. Cancellations must be done by written notice as refunds will only be made in person. IF THE CLIENT HAS ANY KNOWN MEDICAL CONDITONS WHICH DIRECTLY AFFECTS LET’S PROGRAM, A LETTER FROM THE CLIENT’S DOCTOR GIVING PERMISSION TO PROCEED WITH TRAINING IS HIGHLY RECOMMENDED BEFORE TRAINING BEGINS. UNDERSTAND THAT YOUR SIGNATURE ON THIS CONTRACT WAIVES ALL LIABILITY FOR INJURY FROM LINK ELITETRAINING AND THAT YOU ARE TRAINING AT YOUR OWN RISK.